In the final days of last year the Prime Minister released the government’s response to the report of the Ruddock Expert Panel into Religious Freedom. It commits to the centrepiece of the panel’s proposals: a new protection to religious believers in Commonwealth anti-discrimination law. As I will show, in this proposal an ancient insight in political philosophy dialogues with a very recent reinvention of the notion of the “secular”. One of the gifts classical Greece gave Western society was the science of analysing differing political structures. In particular, Aristotle furnished us with the distinction between the One, the Few and the Many. In his formulation, the One was the monarch, the Few were the oligarchs, those with power and wealth sufficient to influence society, and the Many were the undifferentiated mass of individuals comprising the citizenry. The story of freedom in the West has been fashioned in the ever-present tussle between these three great societal pillars. For example, the 1215 Magna Carta, that great seminal work of Anglophone liberty, is frequently claimed as a victory of the Few (the barons) siding with the Many (snivelling commoners) against a despotic One (King John). 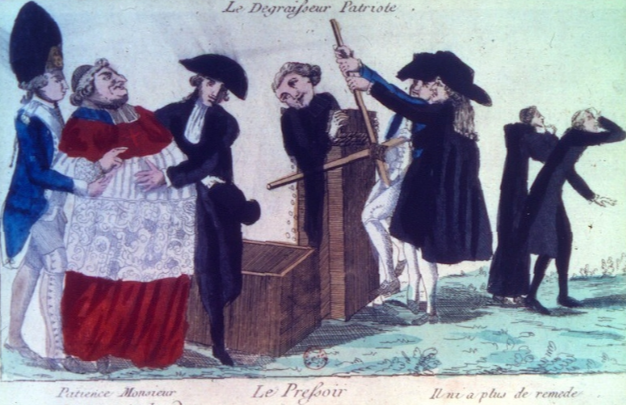 The advent of the age of republican democracy, the 1789 French Revolution, saw the Many (the Parisian mob) decapitate (literally) both the One (King Louis XVI) and the Few (the nobility of the ancien régime) to install a new One (sovereign elected parliament). It is clear that if each citizen, as he becomes individually weaker and consequently more incapable in isolation of preserving his freedom, does not learn the art of uniting with those like him to defend it, tyranny will necessarily grow with equality. He saw that, once associated, individuals “from then on … are no longer isolated men, but a power one sees from afar, whose actions serve as an example; a power that speaks, and to which one listens”. With the sound of the guillotine still resounding from only a generation before, the tyranny Tocqueville feared was not the tyranny of an autocrat. Rather, he realised that in modern democracy, “freedom of association has become a necessary guarantee against the tyranny of the majority”. Tocqueville feared what the neighbours of classical Athens had insightfully termed the “demos tyrannos”. What has all this political philosophy got to do with the Morrison government’s proposal for a Religious Discrimination Act? That proposal is but the latest theatre in which the melee between the One, the Many and the Few will unfold. If this legislation strikes the right balance in this modern-day iteration of this ancient struggle it has the potential to be a preserve of freedom. Get the balance wrong and it will be a harbinger of tyranny. In modern anti-discrimination law, the power of the One (the state) is offered to enforce the will of each individual member of the Many—any citizen may now personally wield the judicial organs of the state to protect their individual liberties. However, the grave danger in this proposal is that in enabling such claims the One fails to properly encompass or reconcile the diversity, nuance and distinctiveness residing within the Many—the very fundaments of a flourishing democracy. Tocqueville’s insight was that in democracy this variation is best expressed, and thus protected, by the Few, as conduits and aggregators of the concerns of their members. Without “exemptions” in anti-discrimination law that recognise the freedom to associate around common areas of interest, the Few will not exist. the psychological condition that led increasingly dislocated and disassociated selves to derive their basic identity from the state … a signal feature of modern totalitarianism was that it arose and came to power through the discontents of people’s isolation and loneliness. A population seeking to fill the void left by the weakening of more local memberships and associations was susceptible to a fanatical willingness to identify completely with a distant and abstract state. As the Ruddock panel has recognised, anti-discrimination law holds immense potential to protect the powerless Many through the judicial arm of the powerful One. Yet in so enabling, we must regard the concerns of the anti-statists and incorporate Tocqueville’s insight of the counterpoint role played by the Few. A considered expression of these ancient currents in modern anti-discrimination law would allow the One to empower the Many, while balancing this faculty with the ongoing presence of the Few. The presence of the Few is only made lawful through “exemptions”, enabling them (echoing the barons of Magna Carta) to prosecute the case for the equality of their individual members by rendering their distinctive attributes visible to the One. In one sense, appeals to remove “exemptions” call for the One to exercise its arm against the Few on behalf of the Many. Unwittingly, such demands undermine the very interests of the Many. Allowing for exemptions permits the Few to articulate and assert the variation within the Many against a totalitarian One, and thus preserve the equality of their members. Anti-discrimination law that fails to get the balance right between these three great societal pillars thus operates to our peril. live and let live … our neighbours could have a different religion … But lately there has been a hard-edged secularism that wants to stamp out religion from public life. So that’s why I think there are calls today for religious discrimination legislation. As is the case with existing anti-discrimination laws, any religious discrimination law will operate as a shield against detrimental conduct and not a sword. In this way, by guaranteeing that our shared public life is not neutered of religious expression, a Religious Discrimination Act can be seen as a response to “hard-edged secularism”. It is all too often overlooked that this reinvention of the “secular” actually elides the pre-existing classical conception that has, in one form of another, been with us for millennia. Classically imagined, the “secular” simply comprised all within this current temporal existence. For Augustine, this was the civitas terrena, as distinct from the civitas dei, the City of God. This classical notion of the “secular” had sufficient resources to contain both spiritual observance and non-spiritual practice within the public temporal domain. Broadly described, the Protestant Reformation continued this basic compact, albeit with Martin Luther’s theology of the “Two Kingdoms” introducing the two separate but parallel temporal spheres of church and culture. It is within that frame of reference that the Enlightenment notion of a “separation of church and state” was formed. In essence, that notion held that the state should withdraw from compelling acceptable forms of religious worship, while simultaneously providing a neutral and liberal space for plural religious expression. The recent re-conception of the “secular” idea instead presents the entirely novel notion that spiritual expression should be removed from public life. This new movement, perhaps best summarised by the New Atheists, appropriates the classical notion of the “secular” and voids it of its vivid content on the doubtful premise of completing an always envisaged, but not fully realised, Enlightenment vision of a society based purely on reason and science. However, as US Supreme Court Justice Potter Stewart saw, attempts to neuter religious expression in the public domain do not give effect to “true neutrality with respect to religion, but … the establishment of a religion of secularism”. Consistent with the classical and Enlightenment notion of the “secular”, a truly neutral, democratic and pluralistic society will seek to most accurately reflect both the religious and non-religious sentiments in its underlying polity by allowing freedom of conscience in not just belief, but also public action. As the Ruddock panel recognised, “religious freedom is precious … it needs to be actively preserved”. As Tocqueville saw, this cannot occur without the associational Few advocating for the diverse Many against a tyrannical One. Mark Fowler is an Adjunct Associate Professor at the University of Notre Dame in Sydney and a practising lawyer. Any ‘tolerance’ of religious freedoms will only be a limited protection available to those religions that are careful to rely on strength of numbers to rebel the attacks of the trendy set. 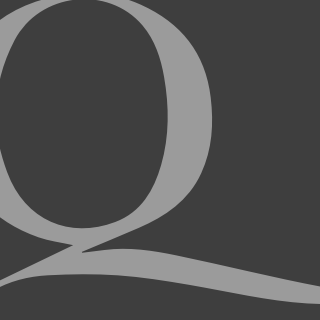 Should sanity ever return to OZ, it will be necesary to acknowledge religious freedoms as belonging to all of us, including those who consider themselves completely irreligious – constitutionally, no office can have a religious requirement, so restricting any right to those of any religious group undermines that, in spirit at least. Certainly the simplest way to get rid of compulsory voting would be to acknowledge that the religious exception from voting should not require belonging to a religious group.